On more than one occasion Colin Baker, who played the sixth incarnation of the Doctor, has observed that if it was not for Patrick Troughton’s portrayal of the Second Doctor, the Doctor Who series as we know it might never have existed. If Troughton had not been able to sell the audience on the idea that the Doctor could completely change, taking on not just a totally new appearance but an entirely different personality, yet at the same time still be the same character previously played by William Hartnell, then the show would never have lasted half a century. I believe that Baker is absolutely correct. Nowadays the concept of regeneration, of a new actor coming in to play the Doctor every few years, is taken for granted by fans of the series. But back in 1967, if Troughton had not given such a brilliant performance as the new Doctor, and won the audience over, the show probably would have been canceled. For a number of years Troughton’s crucial contributions to Doctor Who became overlooked due to the fact that the majority of the serials he appeared in were either missing or incomplete. Fortunately within the last quarter century a number of those previously-lost episodes have been rediscovered, and others have been recreated using the original audio tracks (recorded back in the day by avid fans) combined with brand new animation. Younger fans now have the opportunity to view stories which have not been seen in decades. 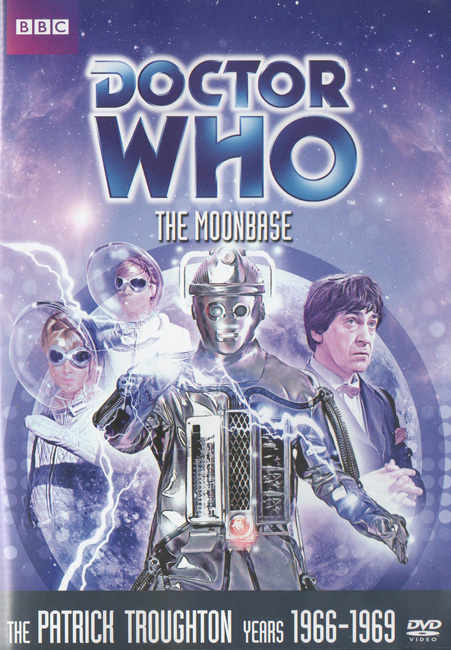 One of the recent DVD releases to feature Troughton’s Doctor is “The Moonbase,” a four episode serial written by Kit Pedler & Gerry Davis broadcast in early 1967. It is only the fourth story to feature Troughton, and I think that it marks a major turning point in the series. Episodes two and four have been in the BBC archives for quite a number of years, and I’ve viewed them a few times previously on the Lost In Time DVD set. With episodes one and three now recreated via animation, it is finally possible to view the story in its entirety, which gives a much better feel for its significance. From this point on, the Second Doctor is still humorous, but it is more often with the goal of distracting people or making villains underestimate him. Looking back on my review of the Matt Smith episode “Cold War” last April, I see that I described the Eleventh Doctor as “an oddball with a steely determination beneath the babbling and flippancy.” That also sums up the Second Doctor very well indeed. Smith really did find quite a bit of inspiration in Troughton. So, what is “The Moonbase” about, anyway? Unexpectedly landing the TARDIS on the Moon in the year 2070, the Doctor and his companions Ben, Polly, and Jamie find that the weather-control center for the Earth is experiencing both a mysterious plague and unexplained technical difficulties. They soon discover that the Cybermen are behind this crisis, with the goal of seizing the weather-manipulating Graviton and using it to wipe out all life on Earth. “The Moonbase” is something of a retread of Pedler & Davis’ inaugural Cybermen story, “The Tenth Planet.” However in most respects this serial is a marked improvement. Morris Barry’s direction is top notch. One of his most memorable sequences is the opening of episode four, with an army of Cybermen marching across the surface of the Moon. The pacing of this story is much stronger. The characters are better developed. Unlike the unhinged General Cutler from “The Tenth Planet,” the Graviton’s commander Hobson (the excellent Patrick Barr) may be stern and short-tempered, but in a crisis he knows how to keep his head and rally the staff working under him. The Cybermen costumes, while they do look rather more robotic, unfortunately betraying much less of the creatures’ organic origins, are better designed and built, at least from the practical aspect of actual actors having to wear them in a hot, cramped studio. And unlike “The Tenth Planet,” which saw the Doctor unavoidably sidelined for much of the action due to Hartnell’s ill health, in “The Moonbase” the time traveler is front & center in the story. I also found that “The Moonbase” made much better use of the character Polly (Anneke Wills). Yes, in the first half she is relegated to tending to the injured Jamie in the medical unit and serving coffee. But in episode three it is Polly who figures out a way to fight the Cybermen, mixing together a cocktail of chemical solvents to spray at their chest units, which destroys their artificial organs, killing them. When Ben (Michael Craze) attempts to convince Polly to stay in the medical center, arguing that fighting the Cybermen is “men’s work,” she has none of that, and charges into battle with a fire extinguisher full of chemicals. A humorous aspect of this story comes out of the scripts having been written before the last minute decision was made to have Jamie McCrimmon (Frazer Hines) join the TARDIS crew at the end of “The Highlanders.” This meant that Pedler & Davis had to write Jaime in at the eleventh hour. Their solution was to have Jaime suffer a concussion early on in the story, and then spend the next two episodes lying semi-conscious in the medical center. And whenever a Cyberman pops into the room, the delirious Jamie thinks it is the ghostly “Phantom Piper” come to claim his soul! There are, admittedly, a few faults to “The Moonbase.” The Doctor supposedly conducts an incredibly thorough investigation in an attempt to find the cause of the plague. He examines everything: food, water, clothing, boots, hair, and I don’t know what else. The result is that he comes up completely empty-handed. Then five minutes later another crew member dramatically keels over after drinking a cup of coffee and the Doctor realizes the Cybermen have poisoned the sugar. Um, if he tested everything, how did he miss that the first time around? I’m also trying to figure out what the deal is with the Cyberman who every so often pops out of the closet in the back of the medical center, snatches up a plague-infected crewman, and drags him back inside. Each time this happens, a few moments later when someone goes to search the closet it’s empty. Where the heck do the Cyberman and his captive go? It’s like they vanish into thin air. Yes, the Cybermen have dug a hole under the lunar surface into the underground storeroom of the base. But we never find out how they do their disappearing act in the closet. It’s also stated at a few times that all of the Cybermen died nearly a century ago when their home planet Mondas was destroyed, which is why initially Hobson doesn’t believe Polly when she says she’s seen them. Apparently there was going to be dialogue in episode three where the Cybermen explained they were part of a group that departed from Mondas some years before its destruction. Supposedly the scene was filmed but was then cut because the episode was overrunning, even though there was other less vital material that could have been edited out instead. The result is that viewers are never told how the Cybermen survived. 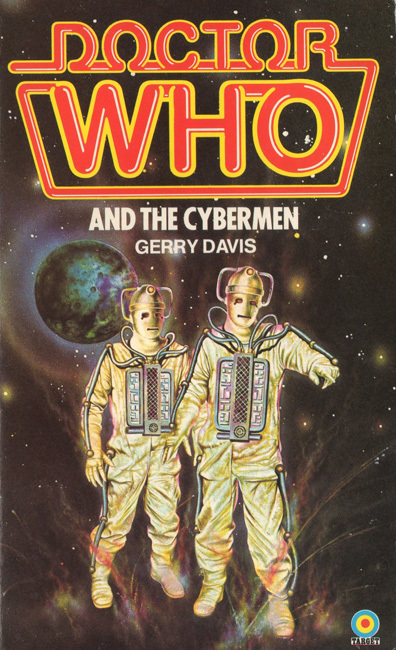 At least Gerry Davis restored that piece of exposition when he novelized “The Moonbase” as Doctor Who and the Cybermen in 1974. Well, aside from a few weaknesses, this is a solid story. And the DVD extras are of a high quality. First off, the animation used to recreate the two missing episodes looks fantastic. I was watching this with Michele, and she was impressed, especially with the lifelike, nuanced animated versions of the characters. 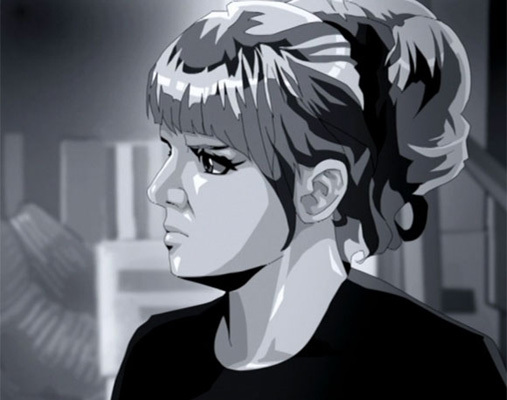 Her specific comment was “Nice facial expressions.” Troughton did much of his acting with his features, expressions and body language, so it is a lovely detail that the animators were able to restore that aspect of his performance. “The Moonbase” may not be the best Cybermen story of the 1960s. I consider their next appearance, “The Tomb of the Cybermen,” to hold that honor. But, as I’ve said before, I think Pedler & Davis were on a learning curve, and you can see the improvement from one story to the next, with “The Moonbase” improving on “The Tenth Planet,” and then “Tomb of the Cybermen” improving on that. Certainly “The Moonbase” was a vital step in establishing the characterization of the Second Doctor, as well as setting the stage for many of the now-classic serials that would be produced over the next two and a half years. And all that, in turn, helped to propel Doctor Who into a long and successful series that still resonates with today’s viewers. I’ve been watching Lost in Time too and I just saw The War Machines the other night. I’ve been pleasantly surprised by how good Ben and Polly are as companions. It seems a shame that Michael Craze got written out as a result of Jamie joining the tardis crew because Ben is a very likeable companion for the doctor. Anneke Wills also turns in a great performance as Polly, often with very few lines to work with. I’m hoping a lot more of their lost episodes pop up, especially the Smugglers and Power of the Daleks. They look great. Definitely agreed about Ben and Polly. I think Michael Craze showed how good he was when William Hartnell fell ill during the filming of The Tenth Planet, and the character of Ben had to be re-written carry most of the final two episodes of the story. Polly, as you say, often wasn’t given much to do, but Anneke Wills made the most of the material. One of the great things about the missing episodes of The Moonbase being animated is that you now get to see Polly in episode three as a very intelligent, assertive and brave individual. However unlikely it is to ever resurface, like yourself I would like to see Power of the Daleks. In addition to serving as Troughton’s introduction, Ben and Polly must have been the audience identification figures, looking at this unexpected brand-new Doctor through amazed & incredulous eyes. I’d like to see how they were written by David Whitaker and played by Craze & Wills.